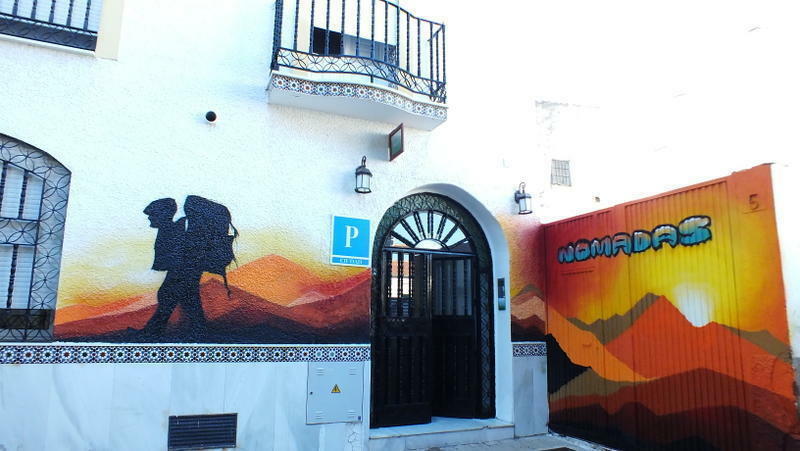 Nomadas is a nice hostel in a renovated house in the city center of Málaga, and far enough to sleep away from any noise. It's placed at walk distances from all you need to know and enjoy our friendly city, and also beside the bus stop to the University and the cycle lane. Our rooms are all shared by 4 or 6, with shared bathroom equipped with modern sauna-effect shower cabinets. Common spaces, dinning room, free wi-fi, TV and PC room and solarium at the roof terrace. We'll keep you bikes in our backyard very pleased. If you have a car, there is a public parking next street, much cheaper and same safe than most in the city. 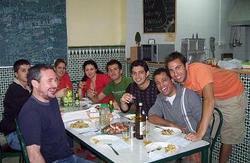 We are English speaking, gay-friendly, open minded staff, and willing to have you around! Payment accepted on arrival : cash , credit or debit cards (Visa, MasterCard, 4B, Maestro). By Bus. Take line to Malaga center, stop at Alameda Principal. Take line 7 (across the street) to Carlinda until third stop. - Reach the bridge and you'll see on your left a grey square buildind: El Corte Inglés stores. -Then follow Armengual de la Mota street until Mármoles street and then to your left. One minute walking on your right you'll find a bus stop and the little street Arquitecto Gonzalez Edo. - Take the N340/MA21 (Direction: Málaga). - Leave at exit No. 7 (Avenida Andalucía). 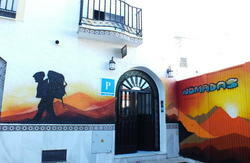 -Go ahead by Armengual de la Mota street and turn right at Mármoles street. First bus stop on your right. We'll provide you directions to an economic public parking (calle Carril), next street to ours.